After inviting the Presence of the King on Yom Teruah, allowing Him to cleanse us during the 10 Days of Awe, and crying out to God in national repentance on Yom Kippur, we must unite in dwelling with our God in the Land that He has given us. 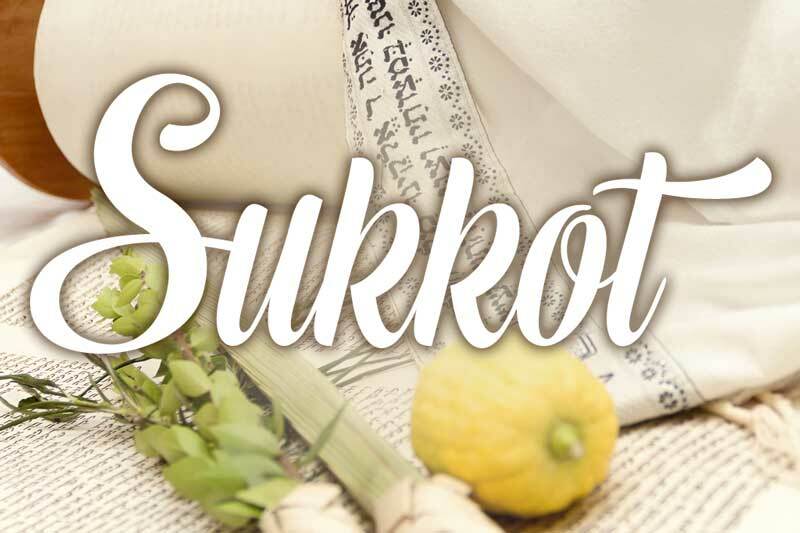 Join us for Sukkot! ADONAI commanded the children of Israel to live in booths for seven days and to worship Him in a sacred assembly on the first and eighth days. The booths are symbolic temporary shelters, commemorating the Israelites’ trek through the wilderness after God delivered them from slavery in Egypt and began preparing them to enter the Promised Land. On the first and eighth days, God’s people are commanded to do no regular work and have a sacred assembly. Hence, these days are Sabbath days, whether they fall on the 7th day of the week or not. Each day, offerings made by fire are to be presented to God. These are in addition to all regular gifts given. The Feast of Tabernacles will find its fulfillment when the New Jerusalem comes down out of the sky and the dwelling of God is with men forever, as described in Revelation 21:1-22:6. “Now the dwelling of God is with men, and he will live with them. They will be his people, and God himself will be with them and be their God. He will wipe every tear from their eyes. There will be no more death or mourning or crying or pain, for the old order of things has passed away.” This day must come after the fulfillment of Yom Kippur. Otherwise, the murderers, witches, thieves and Satan worshippers would all be present while God’s people dwell with Him. All tears would not be wiped away from our eyes, because those who oppose God and are in covenant with demons would still live among us. Additionally, the presence of God, in His fullness, cannot dwell together with sin. God has given each one a choice. Humans that choose not to have their sins atoned by the Blood of the Lamb of God will still be in sin, even after their bodies have died. This sin cannot stay in the presence of God. Once He arrives, in Revelation 20:11, all sin must be purged from His presence. As believers, we often feel as though we do not have to keep the Feasts of ADONAI, and we dread having to learn new traditions and rites. Sukkot can be a particularly challenging feast to keep because it requires building a temporary shelter and living in it for a week. However, as a person who has kept this feast, I can tell you that it is a delight for the whole family! 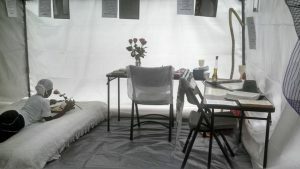 God will truly meet you in your sukkah (temporary shelter), and it will be like having an open-air tabernacle right in your yard. One year, just prior to Sukkot, I had a dream that Yeshua was walking through a camp full of temporary shelters in a row. As He spoke, His people came out of the tents and stood before them. He then said, “These are my faithful ones.” Whether we want to admit it or not, keeping the feasts of ADONAI is important to Yeshua! He wants to meet with us, and He is disappointed when we don’t show up! Prayerfully consider building a sukkah this year, or spending time in someone else’s sukkah during Sukkot. It will change your life. The offerings He requires now are prayers, praise, and gifts to our congregations and ministries. Come into the King’s chamber during Sukkot, and bring a gift, for the sukkah is likened unto the wedding chamber with our Messiah, the Bridegroom! Sukkot are traditionally constructed with four posts and three enclosed sides, with one side remaining open. The roof is not enclosed by any man-made material. Instead, it is covered with branches positioned so that the sky can be seen clearly through them. This aids in communion with God during this time. At this time of year, it does not rain in Israel. It DOES rain in the US and other parts of the world, however. For this reason, some people use clear plastic on the roofs of their Sukkot. Then they place the branches over the plastic. Still, others use camping tents instead of the open-air sukkot (which is what I saw in my vision). Both of these options fulfill the scriptural requirements. Seek God for practical ways you, your family and/or congregation can observe this feast to draw near to God and prepare for dwelling with Him forever. 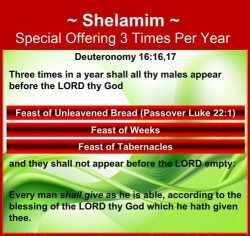 Additionally, this is one of the feasts at which God requires a special offering called the “Shelamim” that demonstrates how much He has blessed us throughout the year (Deut. 16:16). Hence, this special offering should be prepared for prior to and collected on Sukkot.